Didn't make the local show this weekend as hoped for, but of late I'm been thinking of a good BM-59. Has anyone seen them recently, and recall a vendor? James River Armory produced some from kits on their receivers, but the website seems way out of date. Thanks! Been thinking of one myself. I believe Classic Firearms is still the dealer for JRA. ^^^ Could have sworn I checked the Classic Firearms site earlier, and they showed out of stock. But there they are, approx. $1300. Atlantic Firearms in MD had them also, but out of stock. Thanks for the tip! I have a BM 62. I have had it quite awhile. 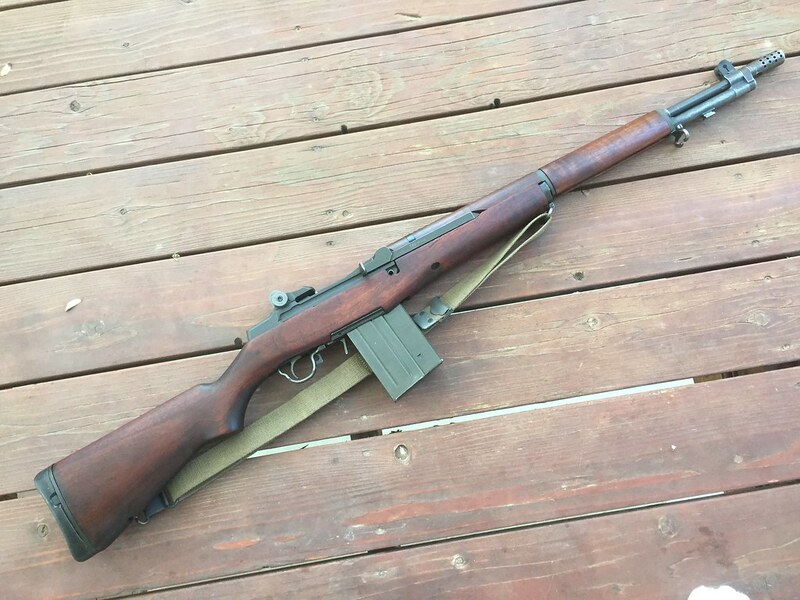 It is a neat rifle and I like it a lot. You never go wrong with a .308/7.62 Nato battle rifle. I hope to see one soon, and look it over. There's a show later this month in Doswell I plan to go to. I love walnut and steel. Lyman, I am curious about your new JRA BM 59. When you get a rifle like that at a gun show, do you test fire it or check the headspace or examine it in any way to see if it is safe or operates properly? I saw an article in Shotgun News a few years ago where JRA had sent them a BM59 for evaluation. If I remember correctly Shotgun News ended up with 2 BM59s. The first one did not work, so they returned it to JRA and were sent a second one. The second one had issues also. I remember the article because I am so happy with my Beretta made and assembled BM62 that I was thinking about buying a JRA BM59. But after reading the article, I decided not too. I remember thinking that the JRA BM 59 most really have issues if a gun magazine panned it. Has anyone seen one built by Shuff's Parkerizing? I happened into a cheap M1 receiver a while back, and am tempted by the cheap Sarco kits. I believe there is a thread over the CMP website concerning the JRA BM59s. I think they said Shuff quit taking the JRA's in because they were getting swamped with people wanting to get theirs fixed. Personally I don't know anything about JRA BM59's. But would love to get my hands on one a see how it shoots. Tim Shufflin is generally regarded as "THE guy" for BM59 builds. Now just to decide on an Italian or Argentine kit. Personally the only way I would get one if it were built on a USGI receiver. 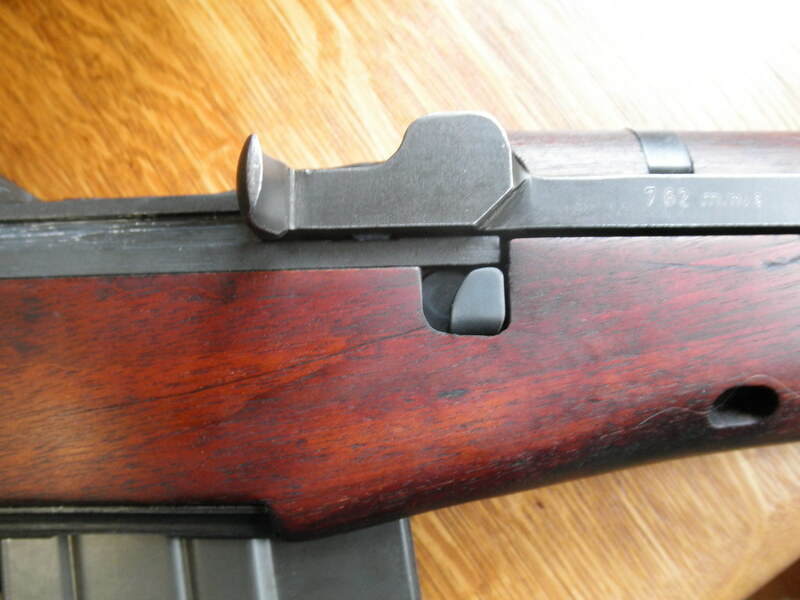 The JRA had too many issues with the barrel and their receivers. I acquired a USGI Springfield receiver and an Argentine kit. Sent the receiver and barrel off to Schuff's and I am happy with the results. I dummied up a fake trip lever to fill the hole on the stock. Tim Shufflin does great work. Although I do not have the BM-59 variant, he did do two Mini-Gs for me. One of which is mag-fed and a full-sized 308 mag-fed as well. His attention to detail is outstanding. The rifles look like they are new and function as such. I think blfuller is giving you good advice to stay away from JRA. I think I just saw a Italian BM 59 online for sale. See if I can locate it. Two Italians and one Springfield on Armslist. Just came from Tim Shufflin's site. The Mini-G conversion sounds real good; if only I still had that $300 Blue Sky Import M-1 from the mid-'90s for a donor... I'll keep my eyes open at the next show close by, would love to see and handle the BM-59.